The Flying Balalaika Brothers, an Austin-based music group, will perform for the Beeville Concert Association on Sunday, Oct. 9 at 3 p.m. at the Gertrude R. Jones Performing Arts Auditorium. The concert is sponsored by the Coastal Bend Community Foundation, as part of their special Spring for the Artsprogram in celebration of their 30 years of philanthropy in South Texas. 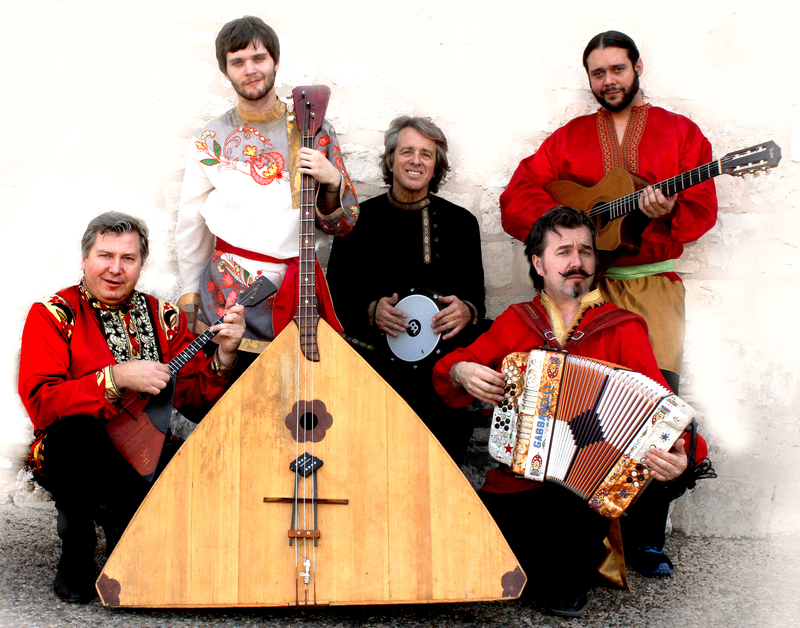 The Flying Balalaika Brothers, an Austin-based band, features Russian folk and classical music, tempered with American bluegrass.Performers are Zhenya Kolykhanov, Sergey Vaschenko, Chris DeVore, Derek Strahan and Nick Kantor. The group’s name comes from the speed with which balalaika players’ fingers move while playing the instrument, which sounds similar to a banjo. Because of the tuning, they must employ a very fast technique with their left hands in order to play all the notes. The original Flying Balalaika Brothers were formed in Los Angeles in 1995 by Zhenya Kolykhanov (a.k.a. Zhenya Rock), the former lead guitarist of the Russian surf/rockabilly group Red Elvises. The group started as a street band and later transformed into performers for clubs, motion pictures, and television shows in California. After Kolykhanov moved to Austin, he re-established the Flying Balalaika Brothers in the musically-rich capitol city culture. The band performs a blend of traditional world music and original pieces. Chris DeVore is a Virginia native with 15 years experience as a musician in Austin. A guitar instructor for Austin Community College, DeVore has studied with Kolykhanov. He also plays drums. Texan Derek Strahan plays the contrabass balalaika, piano, saxophone and bass. He also sings and composes music. Nick Kantor has a master’s degree in business and teaches at the college and preparatory school level. He plays guitar and drums. Kantor has played with many noted songwriters and musicians, including Omar Sharriff, the Boogie Woogie piano king of Marshall, Texas; Hence Phillips; G.G. Amos; Jackie Greene; Earle Poole Ball; Burl Wilkerson; Kelly Cutler; and Clue and the Honkytones. The Flying Balalaika Brothers have toured internationally, sharing their unique blend of Russian folk and classical music, influenced by American bluegrass and innovative acoustic music. The concert is free to all students through high school age and to CBC students with their photo IDs. This year any adult who brings two students through high school age will be admitted free. Other adults will pay $10 at the door if they do not have BCA season tickets.